Patients at specialty hospitals have access to extraordinary expertise, resources and therapy programs that aren’t often available at general rehabilitation centers. Specialty hospitals often have years of experience treating individuals with spinal cord injuries (SCI) and brain injuries (BI). 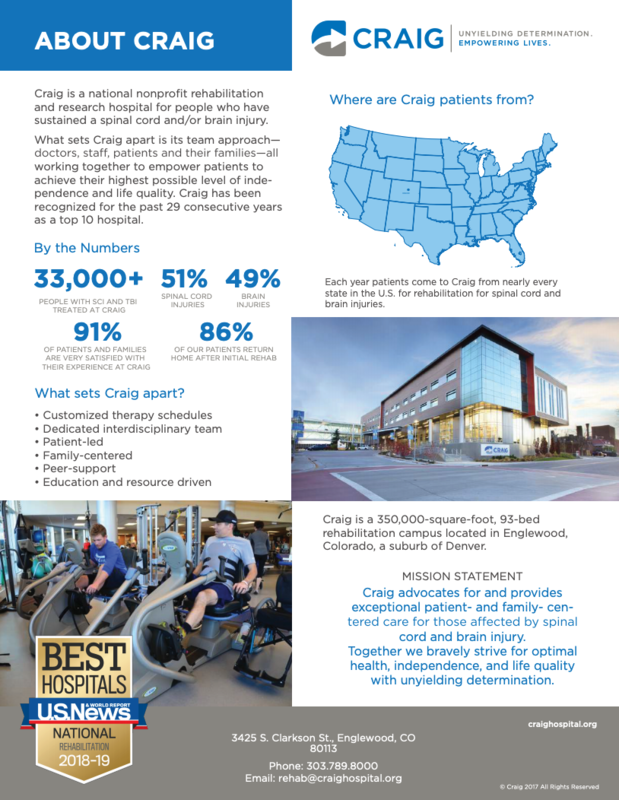 These dedicated facilities have patient and family support programs designed for SCI and TBI patients and the staff at specialty hospitals know how to help families navigate complex SCI/BI care at an emotionally challenging time. Because specialty hospitals put together a custom team of physicians, therapists and caregivers, every patient’s plan is designed with unprecedented expertise.